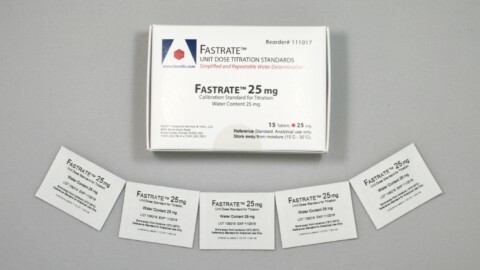 FASTRATE™ is a single use, pre-concentrated water standard in tablet form for Karl Fischer titre determination and determination of water in substances. 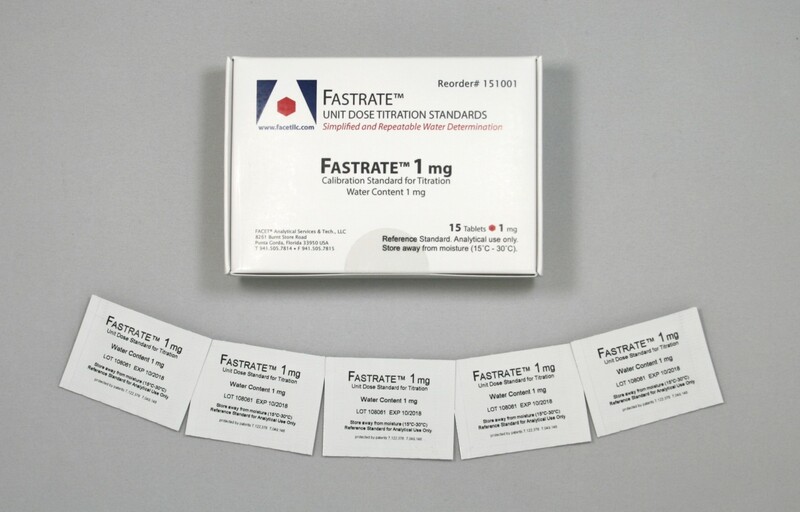 Each kit includes 15 tablets individually packaged in a foil pouch, Certificate of Analysis, and instructions for use. 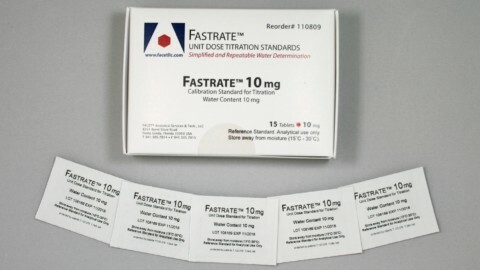 Water content for each lot is determined by volumetric titration using certified NIST traceable standards. 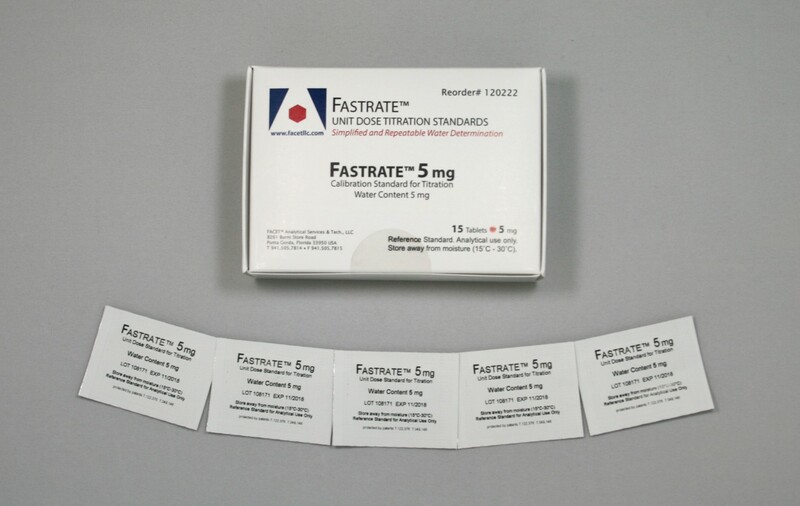 FASTRATE™ can be used in assessing maintenance and repair, during calibration, to perform standard checks and system stability checks. 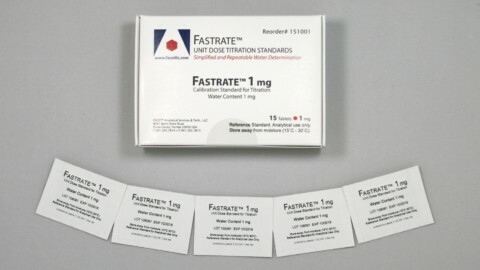 FASTRATE™ has been utilized in industry fields such as oil, petroleum, energy, food, beverage, cosmetics and chemical analysis. 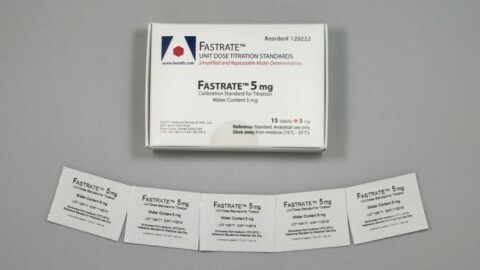 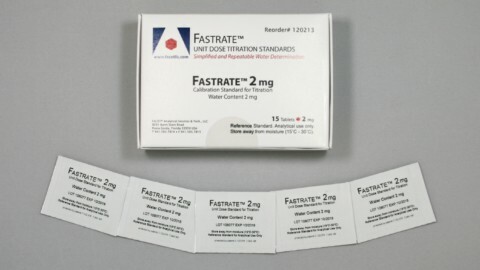 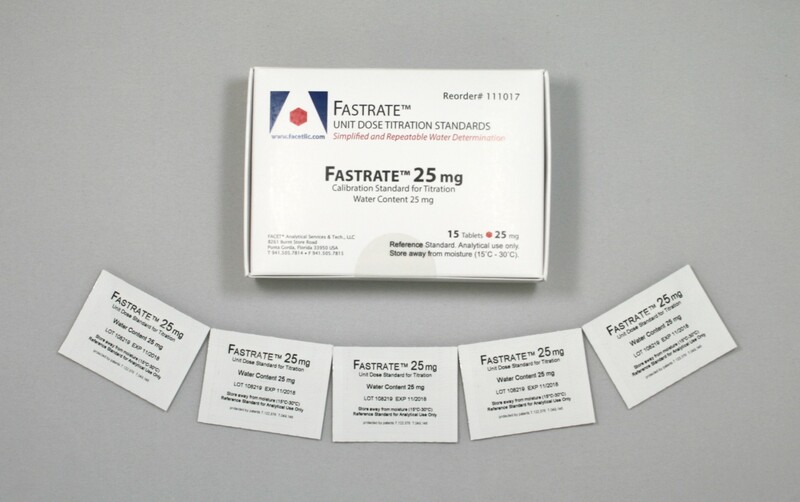 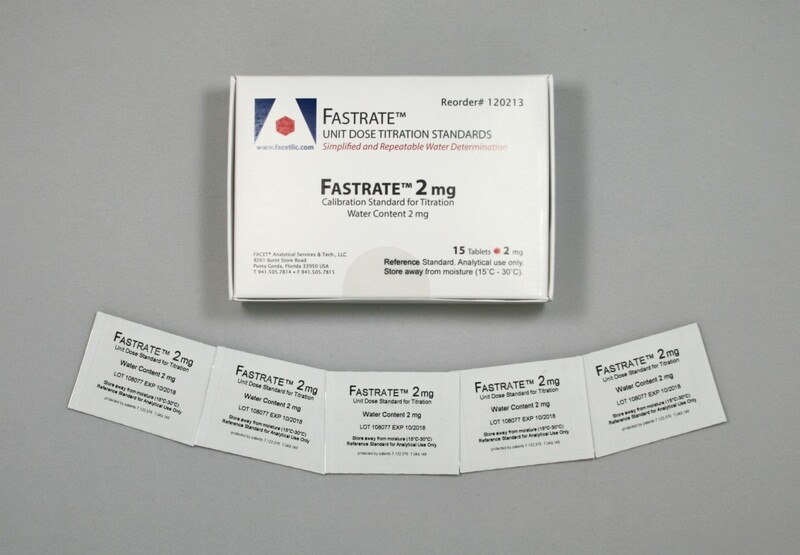 FASTRATE™ is available for private label distribution. 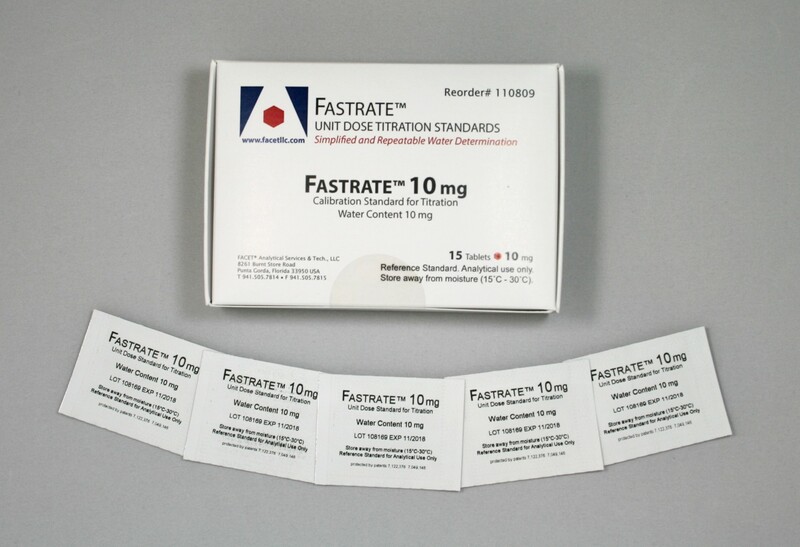 Please Contact Us for testing samples and more information.